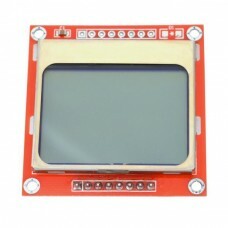 This Graphic LCD Module provides 84x48 pixel graphics with a blue backlight. An integrated PCD8544 controller allows images to be drawn using a serial bus interface. There are four holes for mounting onto your project. A pin header at the rear can be plugged directly into a breadboard for easy prototyping and experimenting. 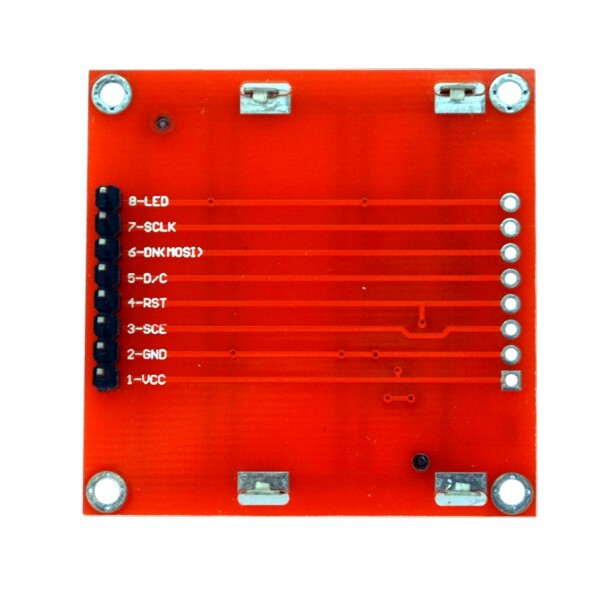 This LCD module is fully compatible with the IBridge Lite 3x3 Keypad Shield and the IBridge 4x4 Keypad Shield. Simply plug it into one of these shields to create an Arduino UI. This version has the male header connector pre-soldered into place. Choose the Black and White version if you prefer to solder the header yourself. 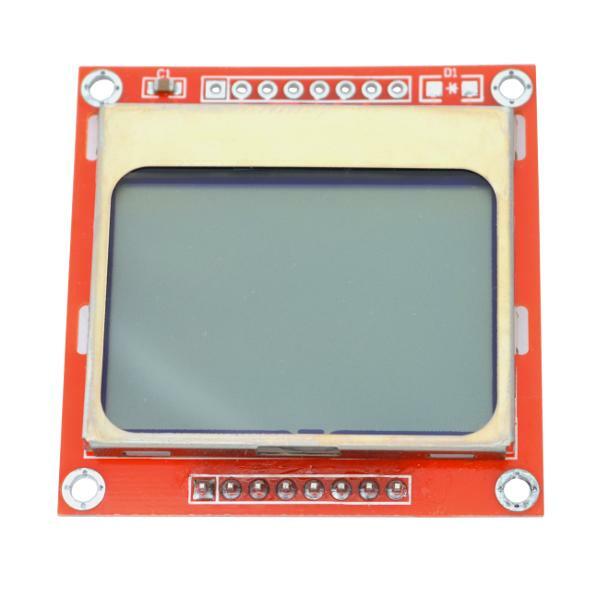 Note that these popular LCD displays are no longer manufactured and have been recycled. Some of displays may have small blemishes that don't affect their operation.